EI Carries Numerous Crush Washers. This is an item best specified via ID/OD. 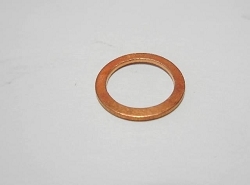 On our site copper crush washers are designated by CC then the size. 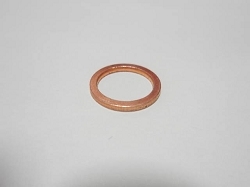 Example: CC12x18 = Copper Crush Washer Inside Diameter 12, Outside Diameter 18. 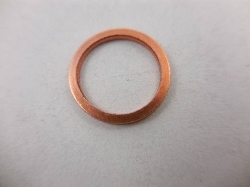 With Crush washers the ID is understated so if measuring the banjo itself, a 12mm id crush will go onto a 12mm banjo bolt. Additionally, Aluminum Crush Washers follow the same naming as above simply preceded by "AC".